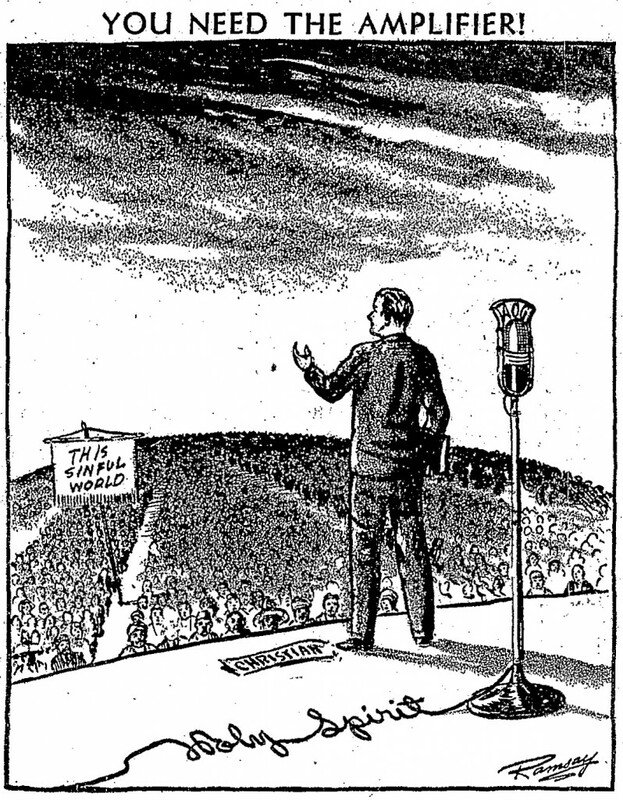 On a basic structural level, the “loudspeaker” is itself a technical reproduction of glossolalia (unintelligible language), one of the most important forms of prayer in the Pentecostal tradition. Focusing upon technological terms such as “loudspeaker,” theorists of the radio apparatus have commented upon the fact that early devices of sound amplification not only mimicked human organs of vocalization, but produced uncanny sensations of doubled immediacy between a voice that emerged from within the apparatus, yet simultaneously resided in some displaced elsewhere. 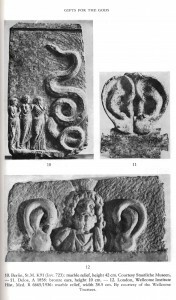 Like glossolalia (literally a tongue that is moved by forces radically exterior to the religious subject), the “speaker” creates a particular experiential intensity precisely because it seems to produce an unmediated presence, yet is animated by forces that are distant or displaced from the artificial apparatus of sound production. One possible approach to the technological history of prayer, therefore, would be organized by the techniques employed for the displacement and amplification of the voice. These technologies for the displacement of the voice (as if the voice were not always fleeting! ), moreover, could be tracked not only within the space of the auditory, but across a range of sensory experiences that are enabled and extended through the process of technological reproduction. Techniques of ventriloquism, the ritual manipulation of the mouth through the mask, speaking tubes, and electronic amplifiers could all be invoked, among many others, in this particular technical history of divine communication. The microphone, for example, instituted a profound reorganization of the traditional Christian rite of laying on of hands (manus imposito) within the performance of prayer. During the mass healing revivals of the twentieth century, the steel housing of the microphone was literally inserted between the patient and the healer, so that an artificial ear now mediated the tactile experience of manual contact. Following the work of Hent de Vries, the ritual of manual imposition was, quite literally, “interfaced” with the technological system of sound amplification. Yet the microphone did not only change the physical relationship between the patient and the healer during the performance of healing prayer, but it opened up new performative possibilities for the modulation of the praying voice. Through the amplification of loudspeakers placed throughout the revival tent, the mass crowd was able to hear the subtle murmurs, labored breaths, and resounding cries of healing prayer in new and emotionally compelling ways. 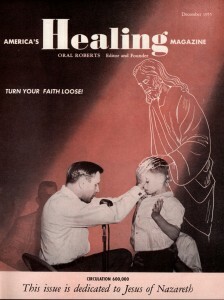 Faith healers such as Oral Roberts, for instance, realized this performative force enabled through the sensitive hearing capacities of the microphone and would whisper, grunt, and cry out as they cast the demons of infirmity from the body of the patient. In this way, the sensitivities of the microphone allowed the audience to experience the sonic intimacies of prayer between the patient and the healer. Like the massive ears of the deity, the artificial sensitivities of the microphone reveal the intensities of an “acoustic unconscious” of prayer that reverberates beneath the everyday capacities of the human sensorium. The insertion of the microphone within the manual technique of laying on of hands was an intermediate form of amplified prayer that would culminate in the radical reorientation of the rite of manual imposition itself. The process of amplified prayer inaugurated in the revival tent concluded in the private space of the domestic residence, where the patient reached out and touched the radio loudspeaker itself as a “point of contact” between the sacred and the everyday.